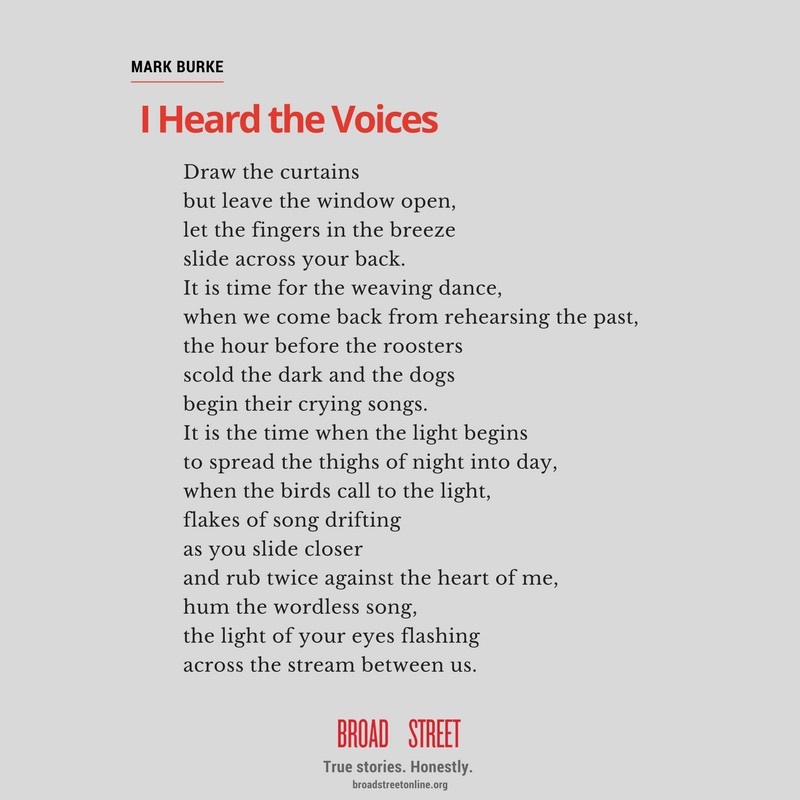 Share This Poem: “I Heard the Voices,” by Mark Burke. Gray days demand a lyric, and Mark Burke has written a beautiful one about love and the break of dawn. Print out the broadside here, or enjoy “I Heard the Voices” in plain form below. across the stream between us. Mark Burke’s work has appeared or is forthcoming in the North American Review, Beloit Poetry Journal, Sugar House Review, Nimrod International Journal, and many other publications. You can also find this poem on Medium. Previous postOnline Exclusive: “School of Hope and Glory: Britain’s Imperial Mission and How One Public-School Lad Failed It.” By David H. Mould. Next postContributor News: Deborah Jiang-Stein honored at L'Oréal's "Women of Worth" event.